This year’s Adelaide Festival music program spanned a 400-year musical trajectory, encompassing one of the very earliest and greatest operas, Monteverdi’s L’Orfeo (1607), Handel’s masterpiece Saul (1738), the 19th century romanticism of Schubert and Brahms, and a tiny but engaging survey of contemporary composition delivered by US ensemble Eighth Blackbird. The centrepiece of this festival’s classical music program was Adelaide pianist and author Anna Goldsworthy’s Chamber Landscapes festival-within-a-festival, juxtaposing Schubert with contemporary Australian composers. The 2017 Adelaide Festival particularly acknowledged Australia’s Indigenous and colonial history and culture in a number of performances, notably the monumental theatrical work The Secret River and the rock concert 1967: Music in the Key of Yes. Launched at the recent Sydney Festival, it’s a showcase of selected hits by Indigenous Australian and American artists drawn from the last 50 years. In aggregate, the songs revealed the strongly political agenda that can be found in popular music. The guest appearance of William Barton, singing and playing the yidaki [the traditional Arnhem Land didjeridu] and guitar, enriched the Adelaide performance. The emotionally charged concert generated a strong sense of community between the performers and a predominantly non-Indigenous audience. 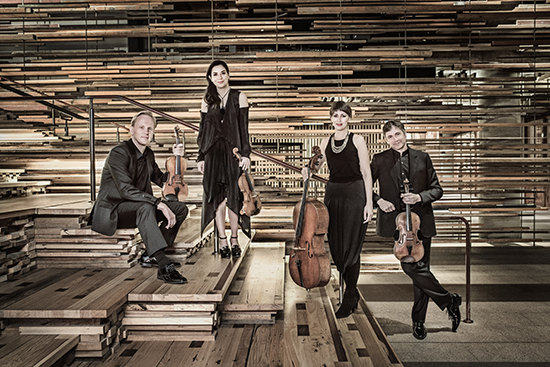 Chamber Landscapes curator Anna Goldsworthy’s immersive four-day series of concerts and panel discussions was an outstanding element of the Adelaide Festival’s music program, with Schubert as the central composer, but featuring significant contemporary Australian works. The intimate UKARIA concert hall in the Adelaide Hills is the perfect setting for such a series, its wondrous acoustics enabling the audience to hear clearly every sonic nuance. The sound seems visceral so that one almost enters a trance-like state. The Australian String Quartet’s magnificent performance of Schubert’s String Quartet in G, D887, completed shortly before his death, was superb, the magnificent sound and setting enticing the audience into Schubertian introspection. The Chamber Landscapes program included significant new works by Indigenous composer-performers Deborah Cheetham and William Barton. 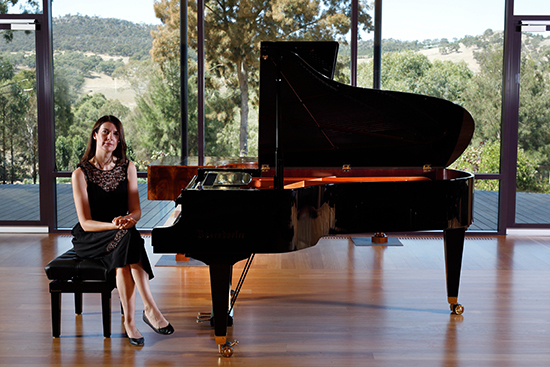 Soprano Deborah Cheetham, who is one of the Stolen Generation, introduced her work “Eumeralla Prelude,” for soprano, piano and string quartet, by indicating that it constitutes the first part of a much larger work she is developing, a war requiem intended to acknowledge the lives lost through the colonisation of Australia. She acknowledged the influence of the great requiems of the Western canon, especially Benjamin Britten’s War Requiem, and said that her work is dedicated to peace and is intended both to draw attention to the history and impact of colonisation and to enable participation in performance by descendants of its survivors. Performed by Cheetham herself with the ASQ and pianist Toni Lalich, “Eumeralla Prelude” is an eloquent, highly accomplished composition, magisterial in its musical ambitions and its transformative potential. Just these preliminary elements are sufficient to establish a new musical paradigm in Australia— the adaptation by an Indigenous person of a traditional Western form to the reconsideration of Australian history. William Barton’s “Square Circles Beneath the Sand” opened with Barton entering through the auditorium and singing while the Australian String Quartet played a quietly intense introduction. 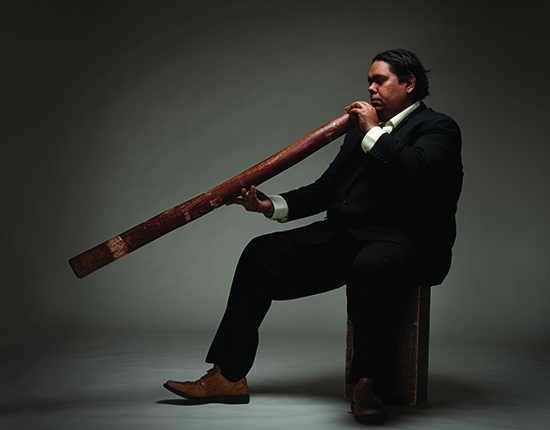 Barton then sits with the quartet to play the yidaki, his dramatic entrance embodying a rapprochement between Indigenous and Western cultures. Barton’s legendary virtuosity is on display as he creates multiple voices through the instrument, evoking the spirits that continue to occupy this land, his complex and powerful composition adroitly blending the sound of the quartet and his own playing into a mesmerising sonic experience. In creating “Square Circles Beneath the Sand,” Barton adopts and extends the form established by the late Peter Sculthorpe that added the sounds of the yidaki to Western instrumentation to generate compelling, symbolically powerful music. Barton’s and Cheetham’s works do more than reconsider Western and Indigenous musical traditions. They offer a potent vehicle for reconciliation through culture, one that acknowledges the past while looking to the future. While we appreciate their music and that of 1967: Music in the Key of Yes, we are reminded that the situation of Indigenous people generally has not been adequately addressed since 1967, and the rapprochement that is articulated today through visual art, music, dance and drama has not been fully realised outside the concert hall, theatre and gallery. Perhaps this festival will inspire its audiences to act. Presented here as oratorio rather than opera, Claudio Monteverdi’s L’Orfeo is one of the earliest operas, establishing the genre and bridging late Renaissance music into the Baroque. In the absence of the theatrical staging and lavish costuming typically associated with operatic productions of L’Orfeo, the audience concentrated on the music—the marvellous voices and instruments. The story is of Orpheus’s descent into Hades in an ultimately unsuccessful attempt to bring his wife Eurydice back from death. Monteverdi’s message is clear: “Worthy of eternal glory is only he who has victory over himself.” Concerto Italiano’s performance is wonderful, with a small cast of outstanding soloists performing in multiple roles and doubling as the chorus of shepherds and underworld spirits. Bass Salvo Vitale, in the role of Caronte, and soprano Anna Simboli, as both Musica and Eurydice, drew special applause from the enraptured audience. The use of period instruments, especially the early trombones and cornets, added to the delightful production. The legend of Orpheus and Eurydice attests to the seductive power of music and to the tragic consequences of overwhelming desire. The contemporary component of the festival was enriched by Eighth Blackbird’s concert that emphasised approachable, accessible music, though in all cases, music that is finely wrought, often polystylistic and technically demanding of the musicians. Ted Hearne’s “By-By Huey” is a driving, percussive work with prepared piano at the heart of the sound. 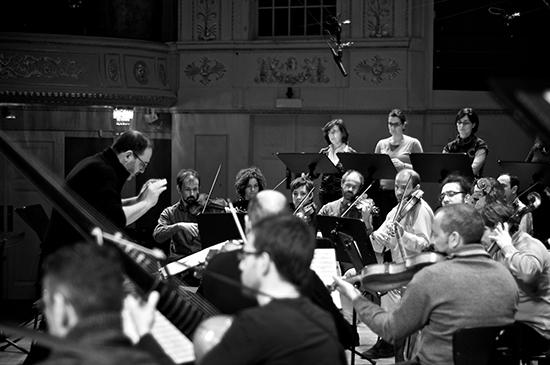 Bryce Dessner’s seven short pieces titled “Murder Ballades” are based in part on American folk themes and the music recalls Aaron Copland’s use of such themes. In Dessner’s “Pretty Polly”—about the murder of a young woman and the guilt of the murderer—the mournful style of the music suggests the tragic nature of the event that inspired it. Nico Muhly’s “Doublespeak” is a pulsating work with layered melodic lines, multiple musical styles and competing rhythms that fully demonstrates Eighth Blackbird’s excellent ensemble playing. 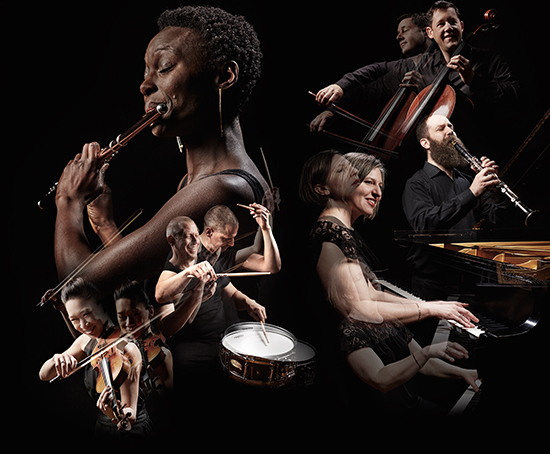 The instrumentation—piano, violin, cello, flute, clarinet and bass clarinet and a vast array of percussion instruments—provides a rich sonic palette, and much of the attraction of this concert lay in the colours and textures generated by combinations of these instruments.